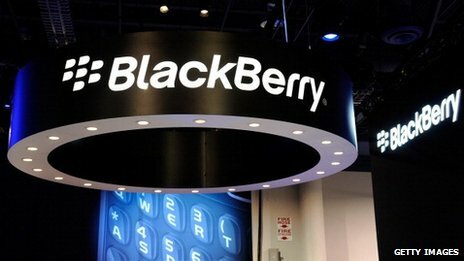 BlackBerry, the beleaguered Canadian smartphone maker, has agreed to be acquired for $4.7bn (£2.9bn) by a private equity consortium led by Toronto-based Fairfax Financial. Fairfax already owns 10pc of Blackberry and would pay other investors $9 per share. The deal is subject to due diligence and regulatory approval. BlackBerry shares opened at $8.22 on Monday. The offer was announced by Prem Watsa, the chairman of Fairfax. He was a member of the BlackBerry board until the company announced it was exploring “strategic alternatives” last month and his departure was seen as a signal that Fairfax would come forward with a bid. The announcement comes days after BlackBerry warned it would make a quarterly operating loss of nearly $1bn and revenues would fall well short of analysts’ estimates. It said it would cut 4,500 jobs, 40pc of its total workforce. The company introduced new smartphones and software earlier this year in an effort to regain ground lost to Apple and Samsung, but sales have been disastrously low. Fairfax’s offer will be under due diligence for six weeks. BlackBerry said it will be open to other suitors during that time. Its co-founder, Mike Lazaridis, has reportedly held talks with private equity firms, for instance. BlackBerry’s share of the market has been on a downward trajectory since Apple sparked the smartphone boom by introducing the iPhone and its user-friendly touchscreen in 2007. As recently as 2011 BlackBerry sold more than 14pc of all smartphones in the world. In the second quarter of this year, however, its share had collapsed to less than 3pc, according to the industry analysts IDC. It sits in fourth place overall, behind Google Android devices, the iPhone and Microsoft’s Windows Phone. As part of its warning to Wall Street, BlackBerry said it had sold only 3.7m handsets in the second quarter, most of them older models. Apple, meanwhile, said on Monday it had sold 9m of its new iPhones in their first weekend on sale. Mr Watsa indicated Fairfax would aim to capitalise on BlackBerry’s remaining foothold in the corporate market, where it once dominated thanks to superior security and tools that appealed to IT departments. He said: “We can deliver immediate value to shareholders, while we continue the execution of a long-term strategy in a private company with a focus on delivering superior and secure enterprise solutions to BlackBerry customers around the world.” – Telegraph UK.